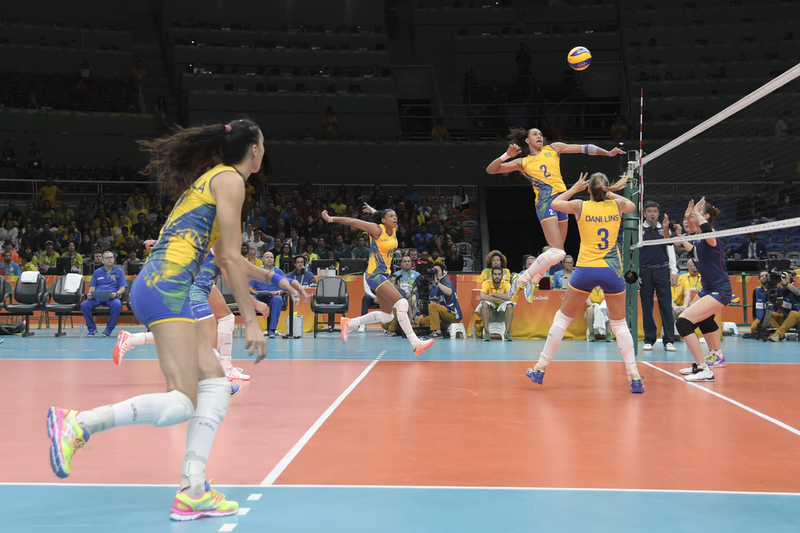 Volleyball footwork or transitioning can make or break your game. From your approach, to getting your feet to the ball on time, and even serving, footwork is the foundation! Players often disregard the importance of quick feet and consistent footwork. When coaches teach the basics, they go over transition footwork for what seems like a million times to make sure it becomes a habit. Constant repetition helps to ensure that the proper volleyball footwork becomes a natural quick response during any number of volleyball game situations or scenarios. Transitioning means progressing from base to a ready position. Basically, you are getting ready to receive an attack, block, or attack the ball yourself, which you can’t do from your base position. The transition footwork prepares you to be as ready as possible. It’s imperative that you become quick at this skill in order to better your game. Many coaches will slow this skill down until you master it because of how significant this skill is. 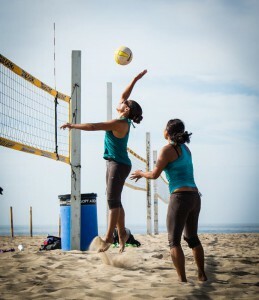 The most common way of teaching transitioning footwork is the traditional three steps of open, cross, hop volleyball footwork. It will look different depending on what position you play. Meaning if you are a back row player, you are going backwards, to transition to a position where you can pass an attacked ball. If you are a front row player on the net, you could be transitioning sideways to block, or backwards to get off the net and prepare to do your approach and hit. The first step is open. The key is to NEVER turn your back away from the court EVER. When you open in your first step, regardless if you are transitioning as a hitter or passer, make sure you are opening to the court. If when you open and you’re facing something that isn’t court or you can no longer see the ball, you know you’ve done it wrong. This first step is crucial because it’s where all your power comes from. It’s important that this first step is wide enough to get you where you need to be to be. For passers, this step needs to be wide enough so you’re in position to make a defensive dig. For hitters, this step needs to be wide enough to get you off the net and in position to be ready for a set. For those of you who transition to block, this step needs to be wide enough to align you defensively with the hitter you are trying to block. The second step is cross. This is the easiest part of the three steps. It really is just a normal step, however, this step gives you power to end in your final position. Again, remember to always have your eyes on the court and don’t turn your back in this step. Many players fail in this step to stay facing the court. This step is more of a sideways step to ensure that you can still see your surroundings and what is happening on the other side of the net. The last step in the sequence is the hop. This isn’t an extreme hop—just a slight hop that gets you where you need to be. After you open and cross, the hop ensures that you will land in a ready position. For passers, the goal is to land in a defensive position where you are ready to defend a pass. This means you are completely stopped, but on your toes ready to react, and low in a ready stance. Proper volleyball footwork is critical for hitters. The goal for hitters is to land in an attacking stance, ready to do your approach. You are also supposed to land well beyond the 10 ft. line. If you are coming up short or hardly behind the 10 ft. line, this means your original step was not wide enough. Blockers need to make sure they are completely facing the net when landing. This means landing on two feet. You should be low, loaded, and ready to jump and block your attacker. If you are double blocking and you find that there is a hole in your block, you probably didn’t take a wide enough first step. If you are off balance when you come to your hop, you might not be landing on two feet. Yes, the little details in volleyball footwork are SO important. They might seem tedious, but in the end, your game will improve leaps and bounds if you just repeat the open cross hop movements over and over again. If you are primarily a passer, practice going from base to your defensive spot with your transition footwork. If you hit, a great repetitive drill to do by your self is to do your approach, block jump at the net, and then transition with the open, cross, hop footwork along the 10 ft. line. Blocking transition practice is very similar. Do a block jump, then open, cross, hop along the net. Until you get to the end of the net. Volleyball footwork improves with consistent practice and repetition which in turn contributes to the proper development and improvement of all other volleyball skills.